Response: Previous studies have shown that some metals (nutrients and toxicants) are absorbed and metabolized differently in children with autism spectrum disorder compared to neuro-typical children. However, it is not known when this dysregulation occurs and it is incredibly difficult to study prenatal metal metabolism. 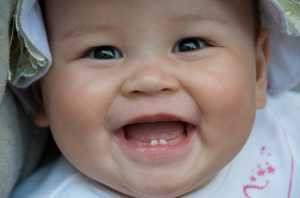 Teeth, which begin forming prenatally, grow by adding a new layer every day, much like the yearly growth rings in trees. Each layer formed captures many of the chemicals circulating in the body at the time. We have developed a method to measure metals in these layers to build a timeline of metal exposure during the prenatal and early childhood period. We found that the cycles of copper and zinc metabolism were disrupted in children with ASD and used this feature to develop a method to predict the emergence of autism spectrum disorder with 90% accuracy.